On Friday, January 25 the 96th graduating class will be collecting their diplomas this Friday. The ceremony will take place at KTU Santaka Valley. First graduates of the year 2019 will be greeted by the University’s management and prominent guests. “Your education is a dress rehearsal for a life that is yours to lead”, once said Nora Ephron, famed journalist, blogger, essayist, novelist, playwright, Oscar-nominated screenwriter and a movie director. We believe that you will use your education for creating the best future for yourself and the society. Whether you are planning to study further, or to move on with your career projects, please remember, that your alma mater is always open. You are welcome as a professional business partner, advisor of the study process or a proud alumnus. KTU will always remain your home and a place where you can turn for advice and support. Best of luck to all of you in your future endeavours. According to career monitoring system Karjera.lt, almost 70% of KTU Bachelors and almost 84% of KTU Masters find jobs during the first 6 months after graduation. Moreover, KTU graduates are among the most sought-after in the job market. According to the national rankings (magazine “Reitingai” 2018), KTU is No.1 among Lithuanian universities in the category of employer satisfaction and the added value created by the University’s alumni. 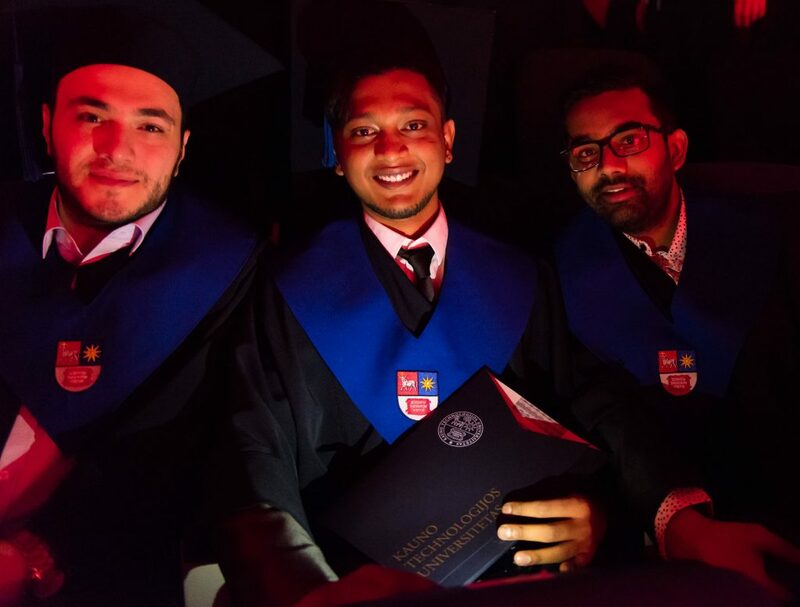 160 bachelors and masters and 21 doctors are graduating KTU this winter. Among them are 15 international students.